Nuummite, the "Magicians Stone", is of volcanic origin and at 3.8 billion years is one of the oldest minerals on earth. Being full of iridescent flashes of light, it can be used on all the chakras and is one of the best all-around chakra tonics available. 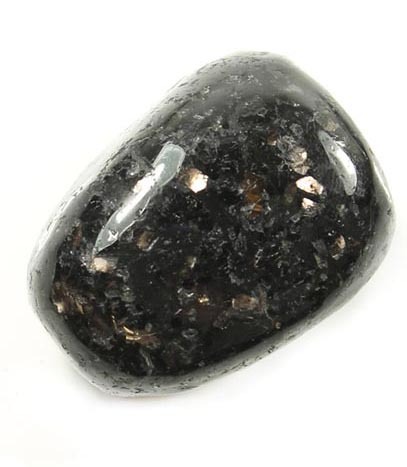 Nuummite is also prized for its protective qualities, creating clear, vibrant frequencies in your aura and home. "Nuummite possesses a defending quality and is an excellent preventative which will shield one from many forms of negative energy. Simply having a piece of nuummite on one's person brings in this protective, shielding aspect of the stone." Melody, Love is in the Earth.